Different processing sections and the related oil processing equipment need to be taken into consideration in peanut oil processing. 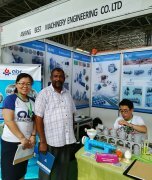 Steps such as seed preparation, oil pressing, oil extraction, and oil refinement must be expertly enjoined to produce the highest quality oil. Peanut oil contains high amounts of energy and fat-soluble vitamins (A, D, E, and K) and essential fatty acids. The oil content of the kernels is between 45% and 55%. 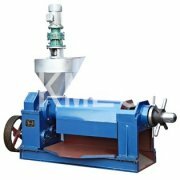 The peanuts should firstly be pretreated by professional seed cleaning equipment. Then the cleaned peanut seeds are sent to the oil milling plant to be pressed into oil by oil presses. However, the crude peanut oil usually contains a number of impurities. 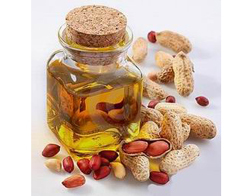 So for edible oil, the pressed peanut oil needs to be extracted in the oil extraction plant before the extracted oils are sent to the oil refining plant for further processing. 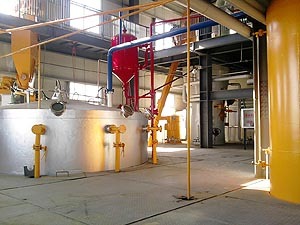 Below are the raw materials for peanut oil, as well as the workshop of KMEC’s peanut oil plant. For more detailed information feel free to contact us. The KMEC peanut oil processing plant processes quality peanut using professional peanut oil processing technology. 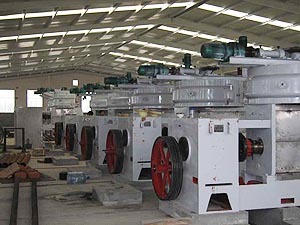 Knowledge of the special characteristics of peanuts is applied toward our peanut processing plants. Peanuts or groundnuts are a high value crop that can be marketed with little processing but are extremely versatile for use toward wide range of products. The oil can be used for cooking, as a shortening or base for confectioneries, and can be used to make peanut butter. There are two types of groundnut, a bush and a runner. Hybrids of the two varieties have been developed and are commercially available. The pods of the bush variety contain one or two kernels in a thin shell. The runner variety has one to three kernels in a thicker shelled pod. Irrigation techniques consisting of regular watering up to the ripening stage before being reduced to avoid wrinkling. Nitrogen fixing nodules are found on the roots although nitrogen and potassium fertilizers are often added to the soil to improve yields. 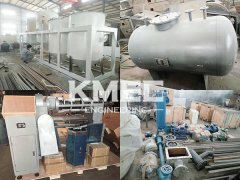 KMEC is an expert in the field of oil processing. We design complete peanut oil processing plants, offering our clients state of the art peanut oil processing technology. Our peanut oil processing machinery is expertly designed and simple to operate. For more information feel free to contact us, as we are always at your service.